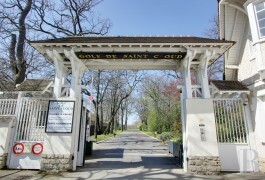 Garches, in the French department of Hauts-de-Seine, 5 km from the old city gates known as Porte-d’Auteuil, is surrounded by Saint-Cloud Park, Marnes wood and Saint-Cucufa national forest. 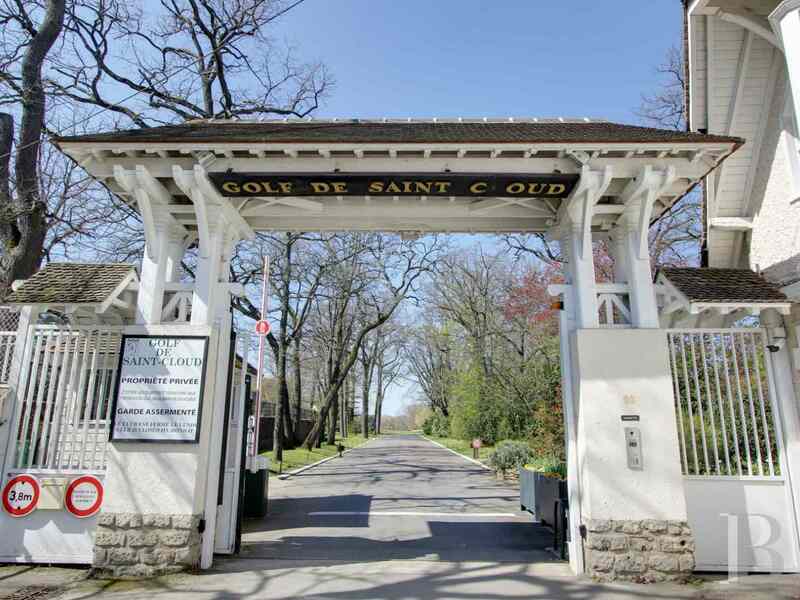 The main access is at the entrance to Saint-Cloud Golf Club, the third oldest in the Ile-de-France region. The first 18-hole Green Course was created in 1913, followed by a second Yellow Course constructed between 1924 and 1930. The clubhouse was built in 1923 in accordance with plans drawn up by French architect Louis-Süe. Paris is within easy reach via trains to Gare-Saint-Lazare. A weekly market held in Place-Saint-Louis is renowned for the quality of its produce. State schools have a good reputation. Prestigious private schools such as Daniélou and Passy-Buzenval are nearby. 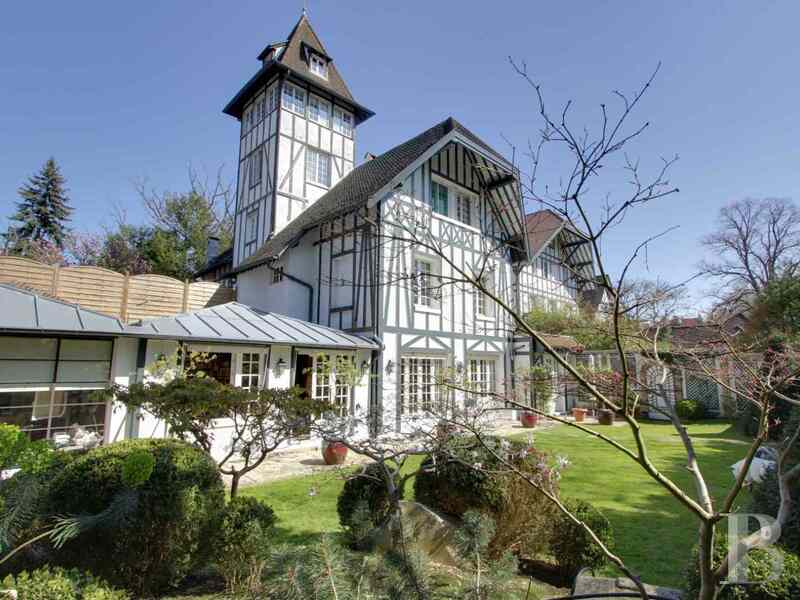 Standing at the entrance to Saint-Cloud Golf Club, the half-timbered “Manoir de Buzenval” or Buzenval Manor, dating from the 1900’s, has a 328 m² flat on its garden level. 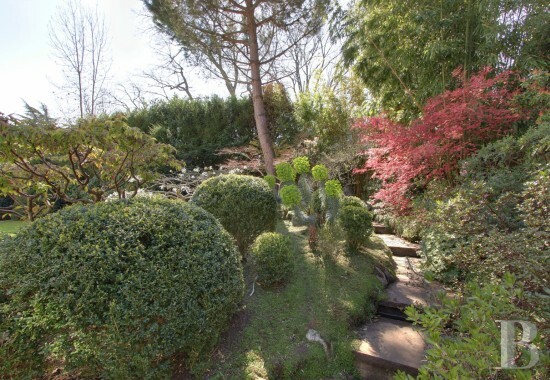 It is surrounded by two private, completely unoverlooked gardens. The town centre is a 10-minute walk, the station takes 15 minutes. 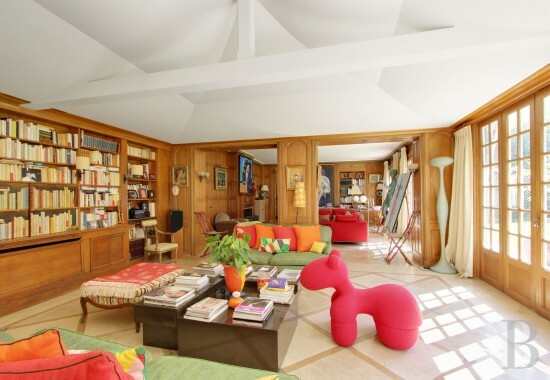 A vast entrance door opens into a vestibule, with a guest cloakroom, a bathroom, an 80 m², double lounge, followed by a completely glazed artist’s studio with direct access to the south-facing garden. 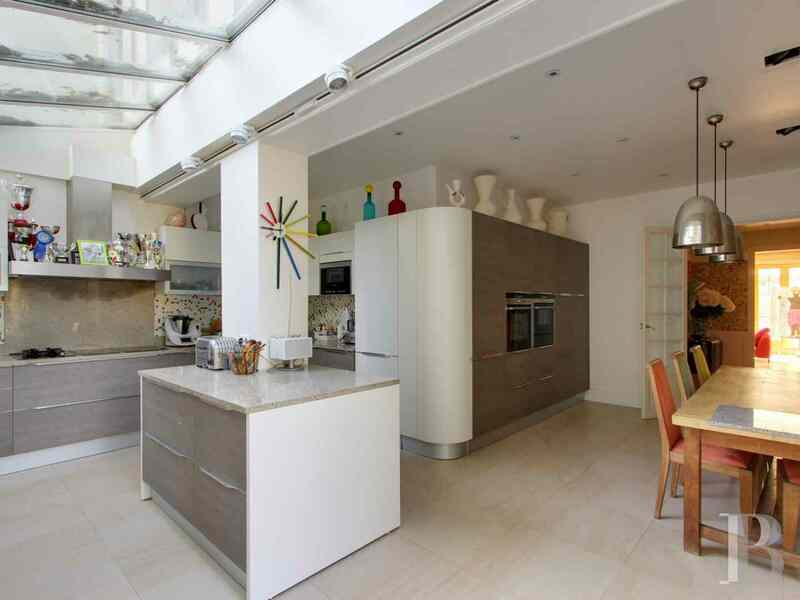 A kitchen, big enough to take an eating area, in a 32 m², L-shaped veranda opens on to the back garden. The owners of the house each have their own dressing room. 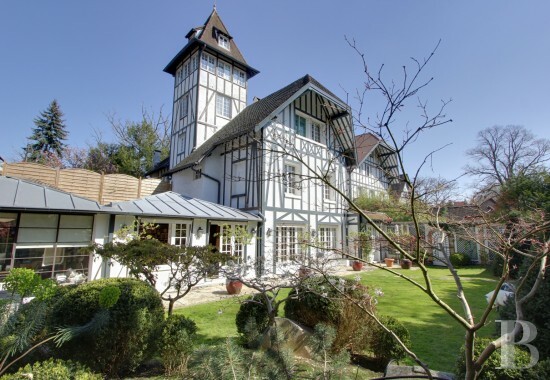 This flat has a total of five bedrooms, including a 30 m² master suite and its 17 m² bathroom with windows overlooking the garden. There are three more bathrooms and a shower room. A large basement houses two bedrooms, one of which has a window overlooking a basement courtyard area, as well as a shower room. Two laundry rooms, hall areas and a cellar complete the remainder of the basement. A garage is available. 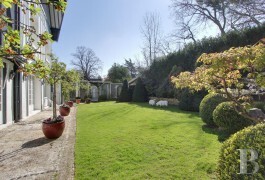 Two private gardens, each spanning approx. 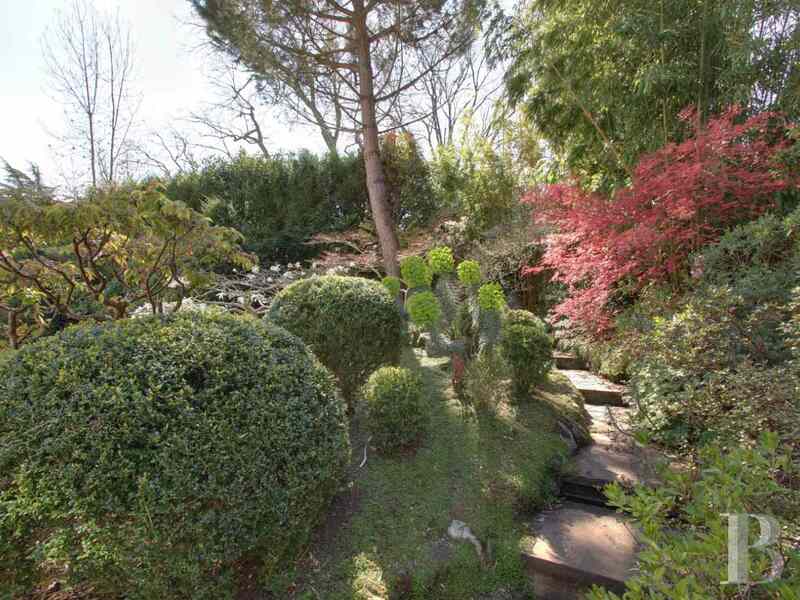 200 m², one on the north side and one on the south side, are wooded and immaculately kept and contribute to the residents feeling of privacy. 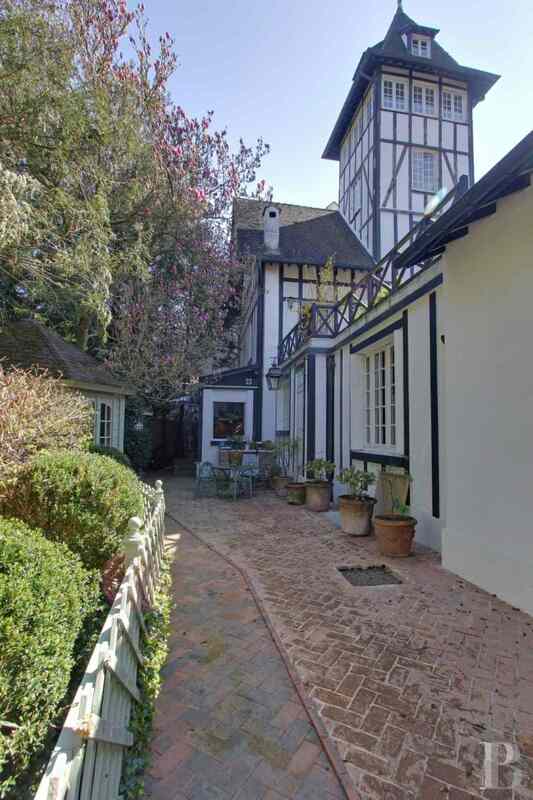 Constructed at the end of the 19th century, this Norman-style property, with half-timbering, stands on the edge of the golf course, nestling in a verdant setting. Half-timbering, a construction technique known since Ancient Rome, has been used in France since the Middle-Ages. 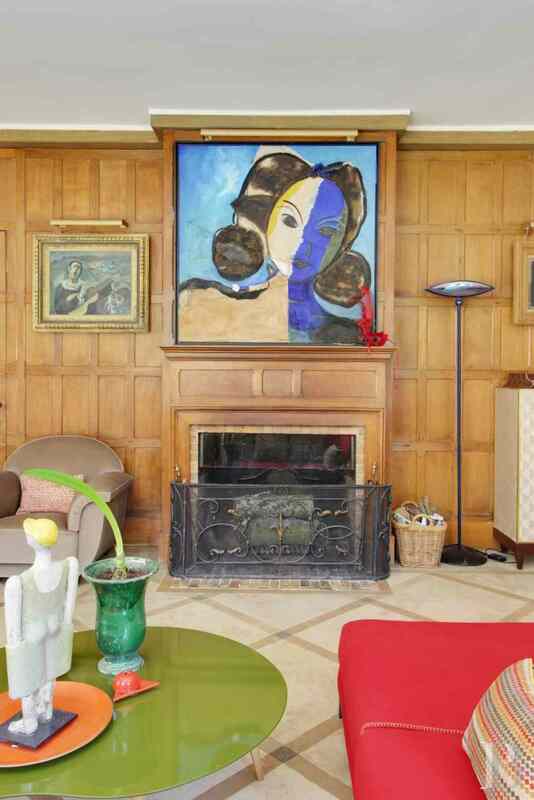 This manor house is harmoniously divided into four flats, the residents of which cannot disturb one another. Once through the gates, an alleyway paved with stepping stones leads to the entrance to the house, the door of which is sheltered below a porch. A vast entrance hall, with walls elegantly covered in shark skin, provides access to a vestibule and its guest cloakroom. 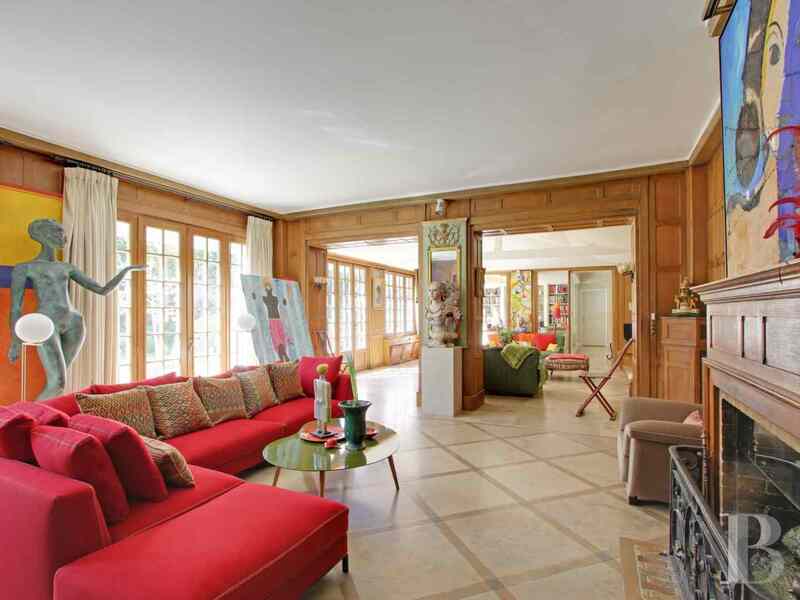 An 80 m², double reception room, illuminated by five wide, wooden French windows, opens on to a south-facing garden. Burgundy stone tiles have been laid in a gigantic decorative pattern. Refined oak wood panelling covers the walls and the fireplace. 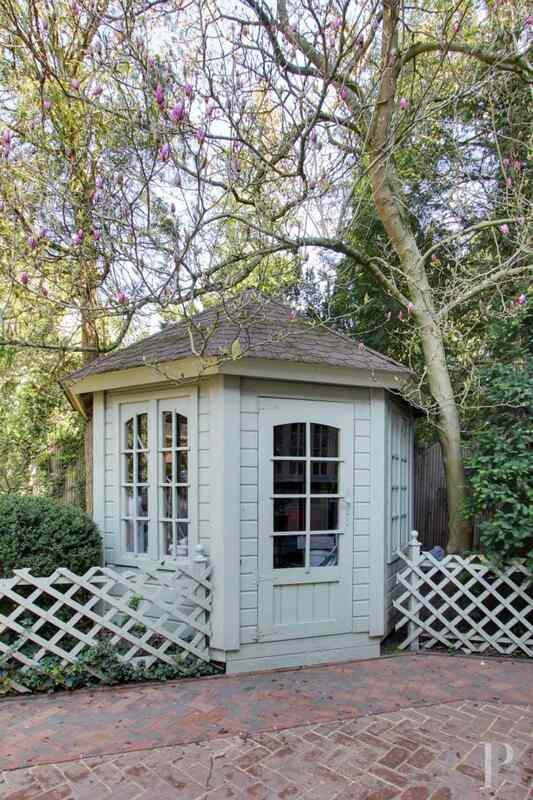 An artist’s studio, following on from the reception rooms, is completely glazed and can be reached from the garden via an atrium door. On the right-hand side are two particularly well fitted, male and female dressing rooms. These precede the 17 m² master bathroom, with its light-coloured marble tiling. It is fitted with two wash-hand basins as well as an octagonal bath and is illuminated by a large window, with a view over the garden. The 29 m² master bedroom, with its 3 m high moulded ceiling, is enhanced by a fireplace and large, double windows, looking out over the verdant setting and letting in copious amounts of light. 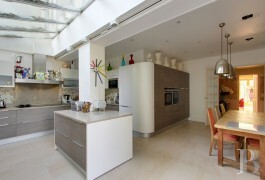 The kitchen and its eating area are laid out in an L-shape, with large, light-coloured floor tiles. The ultra-contemporary fixtures and fittings introduce a mixture of styles that is most pleasant at meal times. One section is under an atrium which lets in a soft light. A French window provides access to the garden behind the house. 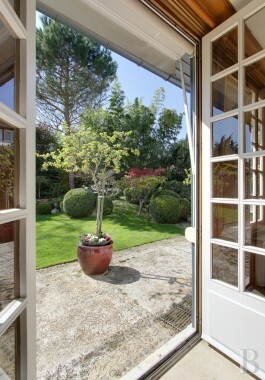 Another large bedroom, with a dressing room and a view over the verdant surroundings, completes this level. 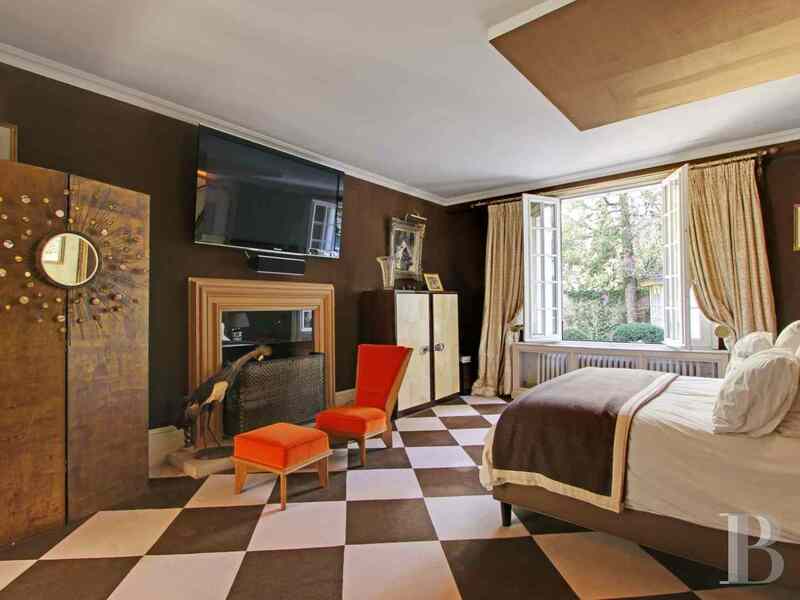 The basement houses two more bedrooms, including one with a window looking out over a basement courtyard area, and a shower room, with an Italian-style shower, as well as two laundry rooms, a hall area and a cellar. A garage and another rented one are available. 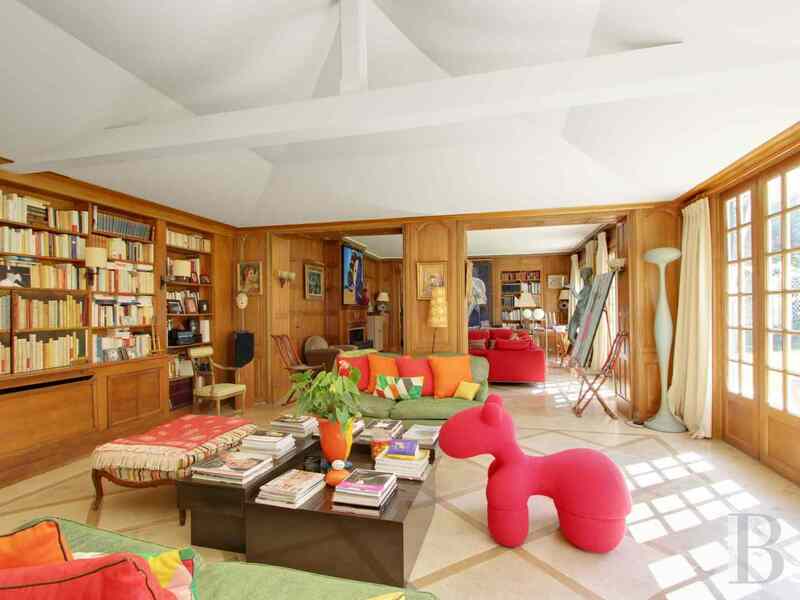 This flat is surrounded by two gardens, each spanning approx. 200 m². The one on the south side, illuminating the reception rooms, abounds in plants and flower beds. 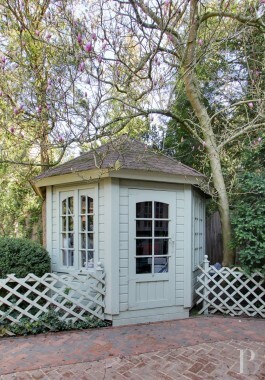 Immaculately kept, it resembles an outdoor room, ideal for sunbathing or daydreaming. 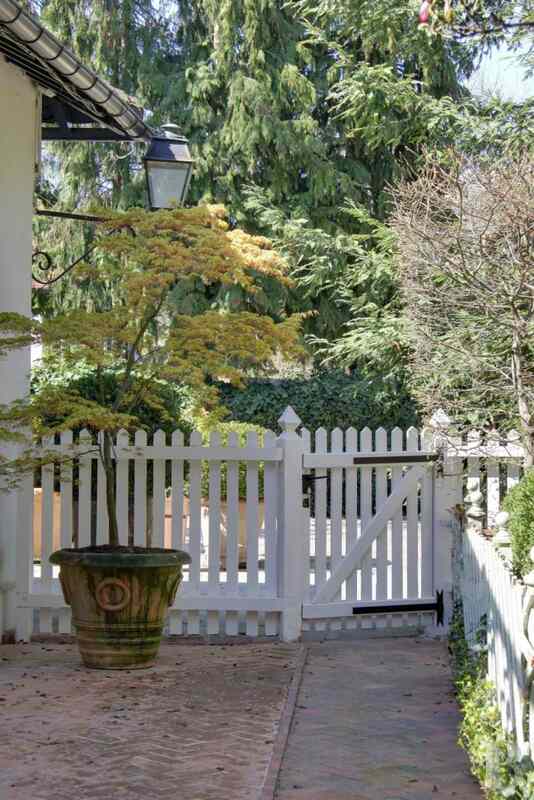 On the kitchen or north side, the garden is shadier but just as delightful. Two wooden huts have been installed there for storing various garden tools. At the end, a wooden barrier provides access to the rear of the Buzenval estate, open to residents of the co-owned building. 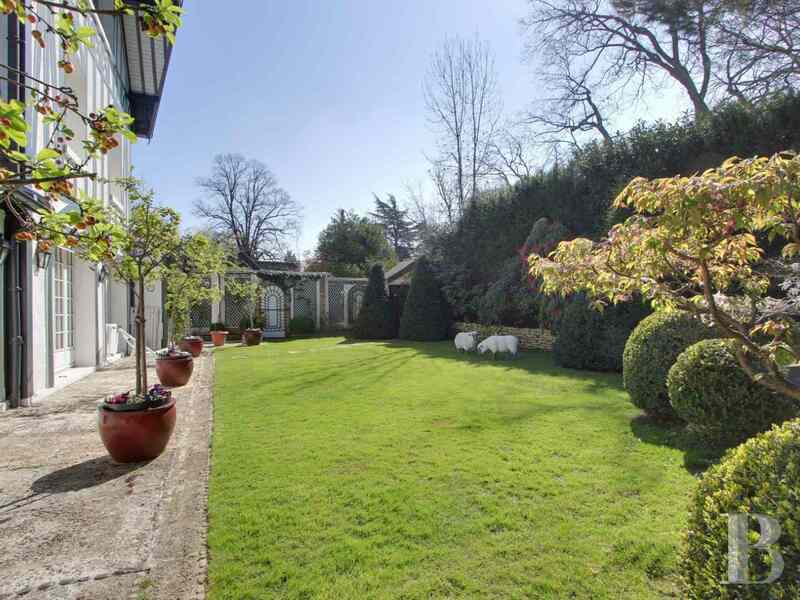 This flat, part of Buzenval Manor, looks out over two private gardens, making it even more self-contained. It is highly reminiscent of a house as all of its windows let in copious amounts of light whilst remaining out of sight of onlookers. In a century, styles have been harmoniously combined, resulting in a set of clear lines and balanced feelings are provoked by the use of materials such as Burgundy stone floor tiles and wall panelling. 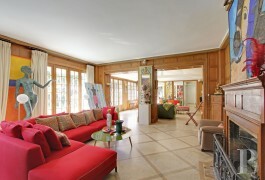 Any family will be at ease not only living here but also entertaining friends in the majestic reception rooms.